Family-owned-and-operated, Macon Gardens in Wake Forest is a destination for homeowners, local businesses, and landscape contractors. 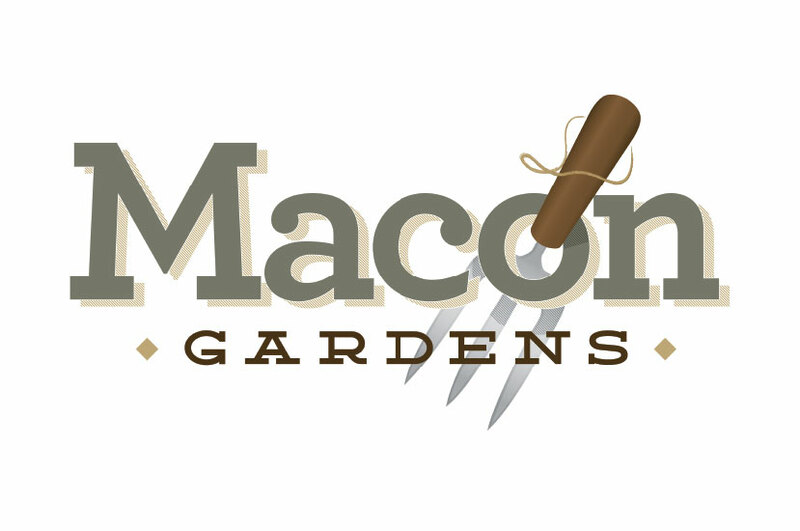 The Macon Gardens logo was designed to be organic and natural. The rustic feel of the logo for this company is reminiscent of the way nurseries operated decades ago, when gardening was done by hand. We livened this design up by illustrating the hand rake threaded through the “O”. By adding a shadow effect behind the letters of “Macon”, we were able to give this logo a more three dimensional appearance. Muted browns and green convey Macon Gardens commitment to all-natural products.